Rebecca has the toughest thumbs at Lace Market Clinic. If DEEP tissue massage is your primary requirement we advise you book in with her. Rebecca’s interest in Sports Massage and the effect of postural imbalances and injury came following a horse riding accident. As a dressage rider and coach she knows how much stress, muscle asymmetry and a lack of core strength/ stability can effect performance in any sport or everyday activities. Rebecca has a wide and varied experience of working with individuals to achieve positive lifestyle change and has found combining sports massage with pilates to be hugely beneficial for those coming to pilates with back pain or joint mobility restrictions. Rebecca is REPS registered and qualified in Mat Pilates Instruction and Sports Massage Therapy. Along with horse riding, Rebecca enjoys other country pursuits, running 10k and half marathons and obviously pilates! Her ethos is to help you de-stress, improve your posture & core strength and move more efficiently. 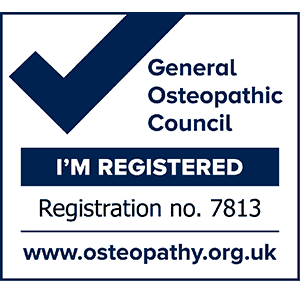 © 2018 Adam Richmond, Registered Osteopath (GOsC 7813).